Take the dog to the vet, drop the kids off at summer camp and stock up on bug spray & sun screen (maybe aloe for the sun burnt shoulders as well). Or…you could release a solo live album, start a world tour in support of your band’s new album, and play with the Polish Philharmonic Orchestra. If you think your life seems busy this summer, try catching up with lead singer John Corabi as he sits down for a review of the new Dead Daisies album Burn It Down. The casual and relaxed feel of all five musicians can be heard throughout the album. Laughs Corabi, “It’s funny, on “Burn It Down” there is a little jam at the end of the song. I couldn’t get them to stop, they were just having fun and went off on a jam. It’s a fun and spontaneous kind of thing.” This devil-may-care attitude with the Dead Daisies may come from Corabi’s years of touring and the time he spent as Mötley Crüe’s front man. When asked about his time with Mötley Crüe, Corabi admits, “The Mötley tour I did in 1994 wasn’t a success, we did well in spots, but it was pretty much a disaster. There were a lot of places we didn’t tour. We didn’t tour Canada or outside the US. When I was out doing my solo tour, I would do some stuff from Scream, some Union, some covers, some Mötley [songs]. When I did a Mötley song one night, someone yelled up at me “Happy Anniversary”. I didn’t know what this person was talking about, I was dumbfounded. I asked this fan, and they said that it was 20 years ago that the Mötley record I did came out. That’s when my manager tells me that Mötley is going out for their final ‘farewell tour’ and they aren’t playing any of that material. I didn’t want to do it at first, but then I started to think about all the people that would love to hear what that record would have sounded like live. I went out and did some live solo shows with my band, where we played the whole record. We recorded that last show in one take, and it’s got a very live feel to it. I’m glad it’s out there for prosperity, but now I feel like I can put the Mötley thing to bed now. I finally released it in January and it’s been doing great!” John Corabi’s Live 94 (One Night in Nashville) is available on his website or on Amazon and iTunes. From the ashes of their previous albums, the Dead Daisies Burn It Down rises like a classic rock phoenix. With its modern-paced tempos, mixed with a few ballads, Burn It Down pays tribute to the bands these veteran rockers grew up listening to. “Rise Up” is the band’s first radio single which is taking them to new audiences. 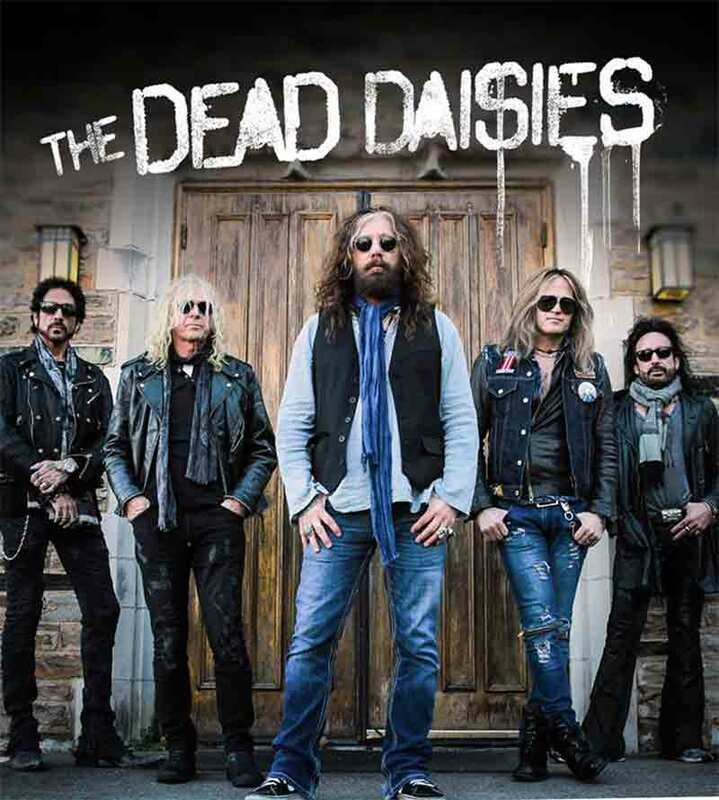 While they may have burnt it down, the Dead Daisies have revitalized rock for fans who aren’t ready to let great modern-classic rock go up in flames.